Rejuvenating slumber is a vital part of a rejuvenating holiday. 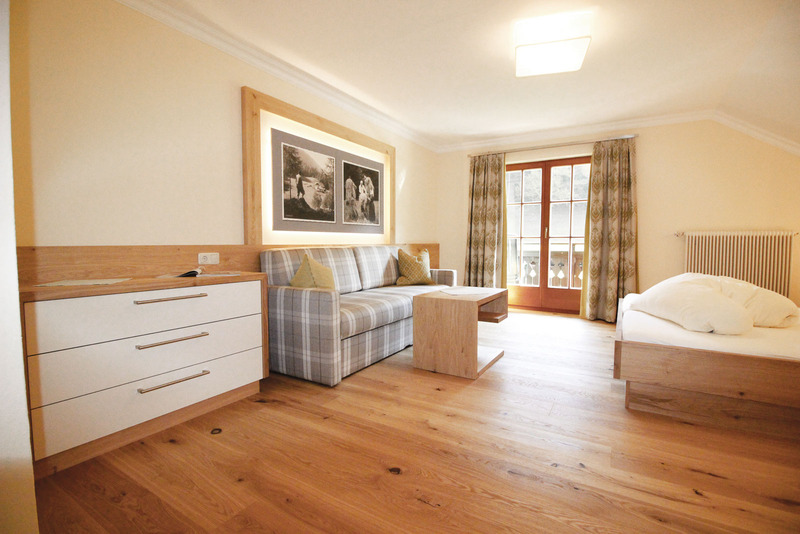 Our 15 rooms are designed and furnished to help you immediately feel right at home and in good hands. The Comfort and Deluxe double rooms also feature a balcony. From there, you can enjoy the glorious view of the surrounding forests and meadows over a glass of wine or a cup of tea. And when you go to bed, don’t be surprised – it is very quiet here. The chirping of crickets is usually the only sound you’ll hear at night. No additional bed can be provided! An additional bed can be provided in some rooms! *All quoted prices are per night/room and include our pampering services and a € 2.00 local tax per person. On the day of your arrival, your room will be ready in the afternoon, by 15:00 at the latest. If you’d prefer to arrive earlier, we’ll be happy to arrange it. But if you’re already going to be arriving at breakfast time, we ask that you please let us know in advance – at the latest, on the day before arrival! Please note that you may arrive as late as 21:00. However, if you’re going to be arriving later than 18:00, we kindly ask you to give us advance notice. On the day of your departure, we ask that you vacate your room by 11:00. Room bookings are valid as a fixed reservation only after we have received a deposit of 20% (at least € 100.00) of the total room price. This deposit must be paid into our bank account (a fee-free transfer) no later than 2 weeks after the date of our written reservation confirmation. For short-notice bookings, we require your credit card details as a booking guarantee; we shall keep those details confidential. If something comes up and you have to cancel your stay with us, the following cancellation conditions apply: Up to 2 months before your arrival, you can cancel your room for free. For a cancellation up to 1 month before arrival, 40% of the total price of the stay will be charged as a cancellation fee. 70% of the price will be charged for a cancellation up to 3 weeks before arrival. 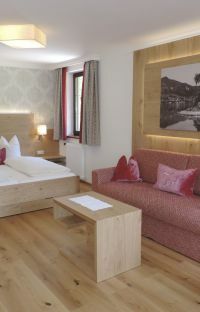 In the event of a cancellation within one week of arrival and/or in the case of no cancellation notification, we shall charge 90% of the total price – see the "General Terms and Conditions for the Hotel Industry" (“Allgemeinen Geschäftsbedingungen für die Hotellerie“, AGBH 2006). We offer free Wi-Fi in all public areas. We cannot accommodate pets (especially dogs). No exceptions! Children are welcome guests here and we want them to feel truly at home with us. So we gladly provide a baby cot/crib, a changing table/cushion (depending on the size of your room), a diaper pail, children’s toilet seat, step stool, high chair and electric kettle for you to use during your stay. Of course, we also consider special meal requests or help you with food preparation. We provide you a smoke-free hiatus in every part of our hotel! In addition to cash, we accept Visa and MasterCard, as well as EC cards. Time and again, life’s path can take an unexpected turn and a holiday you’ve booked is delayed, or you can’t leave home or you must return home prematurely. Then, to top it all off, cancellation fees are added to all these inconveniences too! To make sure you don’t incur these unnecessary expenses, we recommend that you take out a cancellation insurance policy with the company “Europäische Reiseversicherung” (see their information about Hotelstorno Plus). 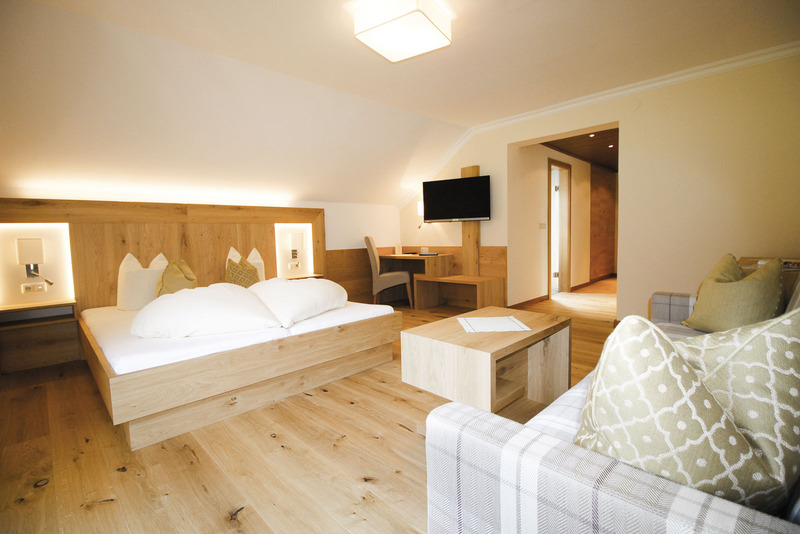 Take a break from your day-to-day routine in the Hochlackenhof, where you feel safe and sound, where you can relax from head to toe and be indulged with fine food – all that simply does a body and soul good! Show your loved ones how much you care about them by presenting them with unforgettable moments of pampered luxury ... Just tell us what you’d like and we’ll issue you the right vouchers for your personal gift. 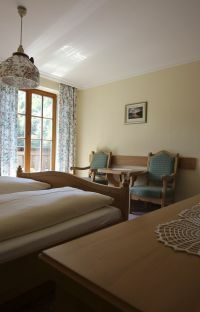 If you have been our overnight guest at the Hochlackenhof at least once and you send us guests who have never spent their holidays here before, and these guests stay for at least 7 nights – the 8th night will be free, for YOU, at your next stay! If that’s not a reason to bring the Hochlackenhof up in conversation, what is?